Place all empty tubes in a microwavable cup and fill with water (the tube tips go into the cup also). Add 1/4 teaspoon (or a capful) of white vinegar and microwave for 1 minute. Problems with Bees & Wasps? Using a q-tip, apply Avon’s Skin-So-Soft Bath Oil to the tips of the glass tubes. The bath oil will not harm the birds as it is not in their food, and the birds have no sense of smell. However, it will help keep the bees and wasps away! 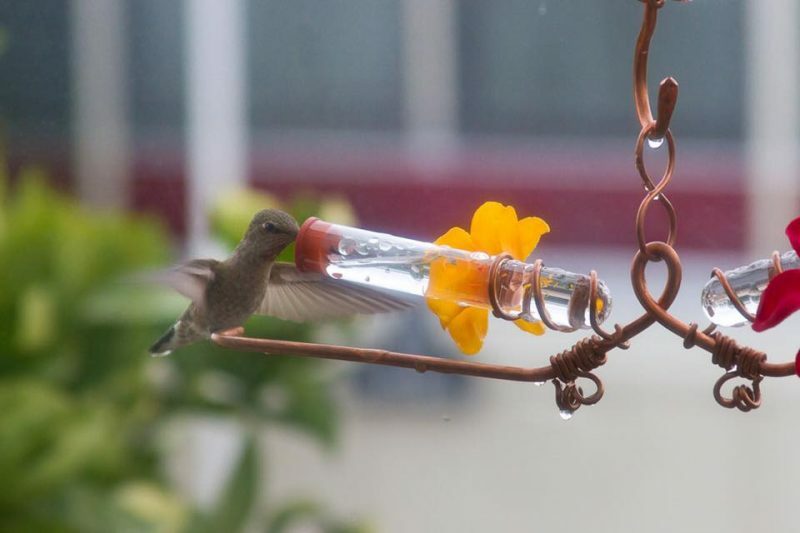 Copyright © Sweet B and B Feeders, Handcrafted Hummingbird Feeders – All Rights Reserved.